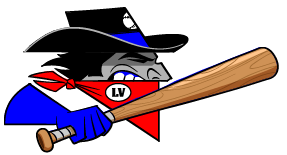 RATON � The Train Robbers continued to prove they�re better than their 0-5 start, getting their third win in a row Thursday, a 10-5 victory over Raton. Oso manager Ray Hancock, on the other hand, sounded exceedingly upset. Five Raton errors were a big part of the difference, as the Robbers only out-hit the Osos 14-9. They started early, going up 1-0 in the first when Matt Grosso walked, advanced on a Randy Wells single and came home on a fielder�s choice. Raton tied the game in the bottom of the second on a solo home run by Matt Lynch, but that was as close as they�d ever get. Vegas put up three runs in the fourth on singles by Andrew Lopez and Joey Haskell; an error; a fielder�s choice that scored Lopez; a second error that scored Haskell; and a Ricky Brown single that scored Martinez. Raton put another run on in the bottom of the stanza on another long ball, this by Michael Lange, but the Train Robbers came back even bigger in the fifth. With Oso starter Will Casey still on the mound, Gary Stauff and Haskell singled, then pinch runner Ryan Lauer scored on an error and Evan Mausell single. Martinez reached on an error, Gross singled to score Mausell and after a fielder�s choice, Wells singled in Martinez, making it 8-2. Cameron Powers, who got the final out in the fifth, shut Vegas down in the sixth but allowed two final runs in the seventh on a Grosso single, Brown double and 2 RBI single by Wells. Raton finally got put two non-homer runs on the board in the bottom of the stanza, scoring off reliever Eddie Medina, who gave up a single to Nicholas Hinojo, walked Zach Kreegar then, with two out, gave up a 2 RBI double to Ryan Barban, then added a final tally in the ninth when Brian Gregory walked and Adam Ziegler and Barban singled him in. While Vegas got across-the-board hitting, two batters stood out. And the pitching did do what was needed THursday. It was exactly the opposite for Raton. Barban (2-for-3, 3 RBI) and Lynch (2-for-4, 1 RBI, 1 run) were the high points for Raton. THe teams will meet again Friday at Gabrielle Park, and after the slow start to the season, Dill said things are looking up. �Our momentum is still building. I don�t even feel like we�ve reached our peak yet. We�re just starting to get things going. We haven�t even hit our full stride yet so I expect to continue to get better.